Our history is a gallery full of courageous young achievers. At 29, Emilio Aguinaldo became our nation’s first and youngest president. By the time the first edition of the groundbreaking Noli Me Tangere was published in Germany in 1887, Jose Rizal was in his mid-20s, a period during which majority of us still grapples with a quarter life crisis. Surely, history books have no shortage of great men and women who used the stamina of their youth to the nation’s advantage. If there’s anything good that our long history of struggle under foreign rule has taught us, that would be the universal truth that greatness knows no age. Let’s take a look at the legacies of some forgotten young Filipino heroes who chose to follow their calling, and accomplished things that are far bigger than themselves. 1. 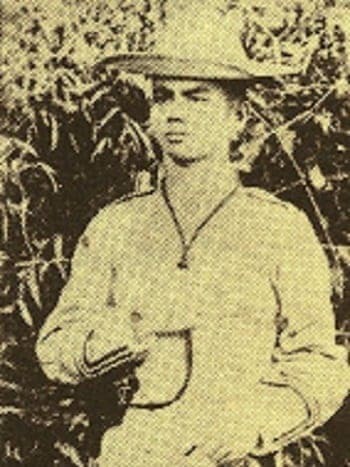 Lt. Cesar Fernando Basa. Photo Credit: Mr. Francis Karem Elazegui Neri/Presidential Museum and Library. 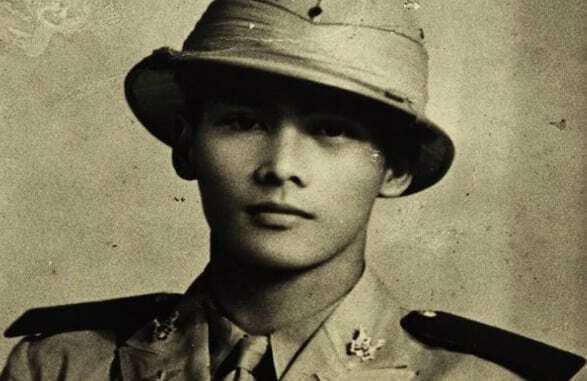 Best remembered as: The 26-year-old Atenean pilot who became a WWII hero. Early years: Just like the great Antonio Luna, Cesar Fernando Basa initially took interest in science. A native of Isabela in Negros Occidental, the bright-eyed Basa studied chemistry at the Ateneo, where he also excelled in basketball. 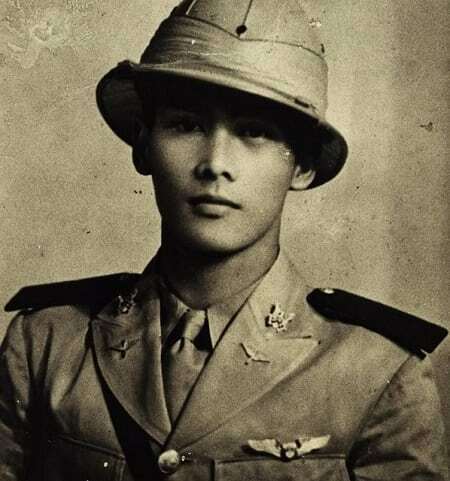 After graduating in 1939, he took a flying course at the Philippine Army and became a full-fledged pilot a year later. Defining moments: Second Lieutenant Basa’s skills were put to the test when he was assigned in Batangas in 1941 under Capt. Jesus Villamor. On December 12 of that year, Villamor and five other pilots were returning from a surveillance mission when 54 enemy planes appeared and threatened to bring them down. But Villamor gave them a hard time as he led his men in an aerial combat against the Japanese planes. Even with fuel running out, Basa maneuvered his plane to join others in the battle. However, halfway to the location, seven Japanese fighters intercepted and shot his plane down. Basa died a WWII hero at the age of 26. An air base in Floridablanca, Pampanga was named in his honor. Best remembered as: The 22-year-old martyr who played violin moments before his execution. Early years: Isabelo del Rosario y Tuazon, or Bikong, was born in San Fernando, Pampanga on July 8, 1878. He grew up to be a great violinist and often played the popular danzas and kundimans of his time. 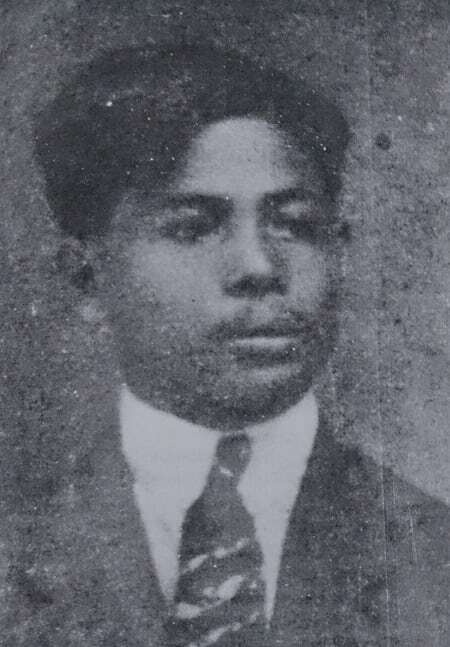 At the outbreak of Revolution, the teenage Isabelo joined the Katipunan and later became a Kapitan of its local chapter. He married Emilia Abad Santos y Basco, sister of future Supreme Court Justice and WWII hero, Jose Abad Santos. The couple had two sons–Pastor and Agapito. Defining moments: When the Americans took over the Philippines, Isabelo was among those who opposed their presence in the country. He perfectly summarized the sentiments of most Filipinos that time when he said: “Den ela sasaup…sasakup la” (they did not come to help, but to conquer). As he did during the Revolution, Kapitan Bikong led other Kapampangans in a relentless fight to bring back the independence robbed by the Americans. Even an offer of amnesty didn’t deter him. Years of resistance came to an end when Isabelo was captured by the Americans at Sapa Libutad in Mexico town. He was soon sentenced to die by hanging. His final moments read like a dramatic movie: On April 12, 1901, the day of his execution, Isabelo requested to play his violin for the very last time. As he walked towards the gallows at the plaza, the Kapampangan violinist played a heartbreaking rendition of “Danza Habanera de Filipina,” after which he smashed the instrument at the very foot of the said gallows. Kapitan Bikong died for his country at the young age of 22. Best remembered as: The 22-year-old WWII hero who lost his life saving a wounded comrade. Early years: Delfin was the youngest of three sons of Lorenzo I. Rosales, known in his lifetime as “Siling Layas,” and Angelica Camacho. The cruelty of WWII convinced the three boys to join the crusade to defend the country from the Japanese. Delfin’s older brothers, Esteban and Lorenzo, were the first ones to join the war. They survived the Death March and later served as a Naga City councilor and a lawyer, respectively. Delfin, meanwhile, became part of the Philippine Army Air Corps (PAAC) or the Allied Intelligence Bureau (AIB). Defining moments: On April 9, 1945, Major Juan Q. Miranda led the guerrilla forces of Camarines Sur in an attack that would liberate Naga. Delfin took the helm of a combat platoon of the 7th AIB/PAAC Unit, putting his self in the front line along with others as they relentlessly attacked the enemy garrison. Delfin also rendered first aid to some of his wounded soldiers. In fact, when he found a wounded Philippine Scout at the western side of the bridge at Panganiban, Delfin didn’t waste time in pulling him to safety–even if it meant risking his own life. As he rushed to save the stranger’s life, Delfin was hit by three sniper bullets, one of which pierced through his chest. The young Bicolano hero died afterward, lifting his two fingers to make a victory sign moments before he expired. 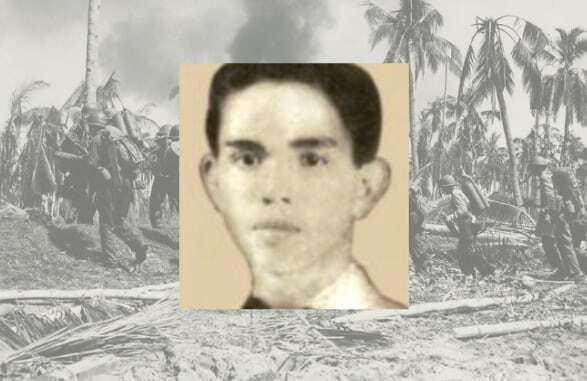 For his selfless act of saving a wounded comrade, Delfin was given a posthumous Golden Cross Award, making him one of only two Bicolano guerrillas to receive such recognition. The bridge near the spot where Delfin sacrificed his life was also named after him. Best remembered as: The promising medical student and violinist who helped make explosives for the Katipunan. Early years: The second Delfin on this list was born on March 1, 1868, in Balangkas, Polo (now Valenzuela) to parents Luis Velilla, a violinist, and “Aling Pepiang,” a store owner. Just like his father, Delfin also nurtured a passion for playing the violin. He also aspired to be a doctor and was on his way to earning a medical degree from the UST when the Revolution broke out. 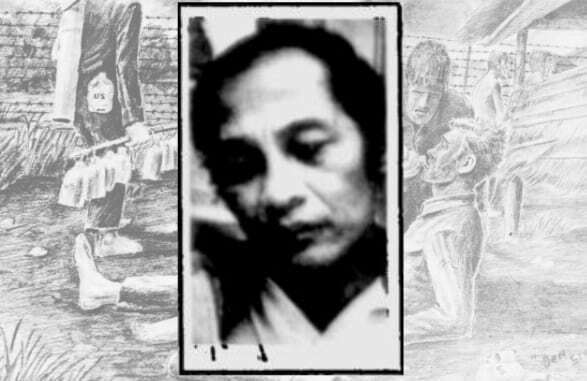 Defining moments: Delfin’s plan to be a doctor was cut short when he joined the Katipunan in Polo under the leadership of Cornelio Lozada. Their ‘balangay’ was composed of 200 men armed with bolos and pointed bamboos–but they’re lacking in ammunition. Soon, Delfin and someone named Tiburcio de Leon was tasked to secretly create explosives and dynamite for the revolutionary group. After the Revolution broke out in 1896, Lozada and his men faced numerous enemy attacks, prompting them to jump from one place to another to seek refuge. From Pasong Balite, they moved to Novaliches before retreating to San Jose Del Monte and finally, Norzagaray. It was in this final stop where their group was absorbed by the unit headed by another young leader–Col. Gregorio H. del Pilar. Del Pilar and Velilla soon became the closest of friends, often seen serenading girls in the area with del Pilar on the guitars while Velilla plays his violin. Things took an ugly turn during the early years of the Philippine-American War. After a defeat in Caloocan, del Pilar led his men to Bulacan where they were engaged in yet another bloody battle. The Battle of Sta. Rita in Guiguinto took many casualties, including the 31-year-old Delfin Velilla who was later buried in the cemetery of Quingua (now Plaridel). A statue of him was later installed in Baranggay Arkong Bato in his hometown of Valenzuela. Best remembered as: The 6-year-old “shoeshine boy” who smuggled food and medicine to save WWII prisoners. Defining moments: As the victorious Japanese started to punish Allied soldiers with inhumane prison conditions, one man decided to help. He opened a restaurant and secretly cooked food to be smuggled to the suffering POWs. His 6-year-old son Teodoro Salanga Jr., barely aware of the magnitude of what was happening, served as his delivery boy. For two years, Salanga and his sisters would sneak food and medicines into the prison camps. Salanga would usually crawl under the barbed wire surrounding the prison and use a stick “to lift the wire over his body.” Sometimes, he would pretend to be a “shoeshine boy” and put medicine and food inside his pockets or in a pillowcase. The medicine he helped deliver saved the lives of many American prisoners, most of whom suffered from late-stage malaria and beriberi, a disorder caused by Vitamin B1 (thiamine) deficiency. Salanga survived the war and later worked as a civil engineer for American communications firms in Vietnam. He married a Vietnamese and had three children together. In 1979, Salanga came to the United States to visit her sister, Josephine Salanga Britt, who married one of the American POWs they helped during the war. Armed with only a temporary visa, Salanga faced threats of deportation when the embassy refused to grant him permanent resident status. Fortunately, several Americans advocated preventing his deportation, among them, were Myrri McBride and Evan D. Johnson, two former POWs whose lives were saved because of the Salanga family’s act of kindness. Cruz, I. (1985). Gregorio H. Del Pilar: Idol of the Revolution (pp. 120-121). Samahang Pangkalinangan ng Bulakan, Bulakan. Isabelo del Rosario. Singsing Magazine, 33.